A wide range of special products designed to give you better flexibility and connect different type of devices. All of them are reliable, durable and safe. 16A - 32A - 63A etc. 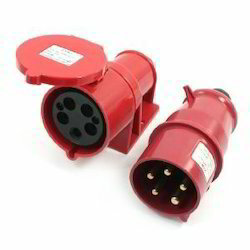 Extensive range of IEC 309 range of Industrial plugs and sockets (BLOC) in 16/32/125 Amps - for 110V/240 & 400V. Products are available in IP44/IP55/IP56 protection. Industrial Plug, Socket & Board. These modules can easily be attached/detached to fabricate desired circuit. Kit is very useful for the study of the following circuits. It is supplied without power supply, signal generator and oscilloscope, which are optional items. 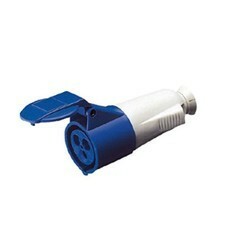 We offer high quality socket to our national and international clients. These are widely acknowledged for its high strength and durability. Our range ofindustrial socket is available in different dimensions, sizes and finishes as per client requirement. The range of sockets can can be obtained from us at cost-effective prices. With our vast industrial expertise, we are engaged in offering superior quality in our Reciprocating Industrial Sockets. Our offered Industrial Sockets are manufactured from high grade material. Further, these are checked by our quality experts on several industrial parameters to ensure their fine finish and durability.